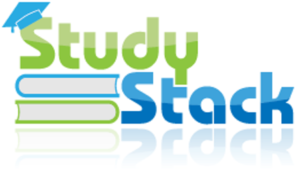 StudyStack is an online tool to help you and your students memorize information and practice memorization through playful pedagogical activities such as flashcards, word puzzle games, or hangman games. StudyStack generates games based on the database you create. 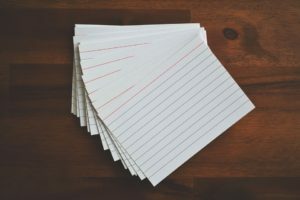 You can use pre-existing games or create your own “stack” of activities where you can design flashcards and other pedagogical activities to share with your students. You can print the flashcards you have created. StudyStack can be used on iOS and Android devices. It is available on the App and Google Stores. Cost: On its homepage, StudyStack presents itself as being a “free advertiser-supported business”, which means that there are advertisements if you choose to use the tool for free. As stated in the FAQ, you can get rid of the advertisements and be a PRO user: “The basic PRO account is $10 per year or $1.50 per month.” There is also a “PRO Teacher” plan that you can use to remove ads for you and your students.”The PRO Teacher account costs $20 per year. The Upgrade page is not accessible to account holders who are 12 or younger. Privacy: You can access pre-designed flashcards related to many topics without logging in. However, you need to be logged in to save game scores as well as the databases that you create. In “Settings,” you can choose the level of privacy you would like to have, whether your flashcards will be “private,” “hidden,” or “public.” Your students can view and use the flashcards you design without having to create an account. The information entered while subscribing to the PRO plan is not sent to studystack’s servers but is transmitted to stripe.com for payment processing. Substitution: Students review flashcards on Study Stack rather than printed flashcards from the teacher. Augmentation: All students could add some parts on the flashcards. For instance, you teach a Spanish class and want your students to focus on a lesson on food. Each student could add a phrase related to the topic. Modification: Students can participate in assessing stacks that have already been created. Redefinition: Students could design flashcards for a class located in a different country. Memorization can be a tedious and painful task for many students. However, if you create ludic activities and invite your students to both participate and engage in the activities, they would have a great time learning and memorization through a ludic channel. Math: Having formulas to memorize and create some problems to be solved through games. Having description and response on the database to create a matching game where students can pair responses and questions. Science: Formulas and definitions to be posted. Students will pair up the formulas with responses. Geography and history: Students will learn major dates to remember. Countries and capitals. Click “Sign Up” and register for an account or use the activities without signing up. Or if you sign up, use either your Facebook credentials or an email address. Be advised that if you use your Facebook credentials, your Facebook username will appear on Study Stack public forums. Once you have created your account, click on “create a new stack” and enter the database of your choice. Study Stack will automatically generate activities based on your “stack,” i.e. the database you created. Coady, Janelle (2010) Continuous Improvement in the English Classroom. Milwaukee: WI, ASQ Quality Press. Deutsch, Nellie (2010). Instructor Experiences with Implementing Technology in Blended Learning Courses. CreateSpace Independent Publishing Platform.